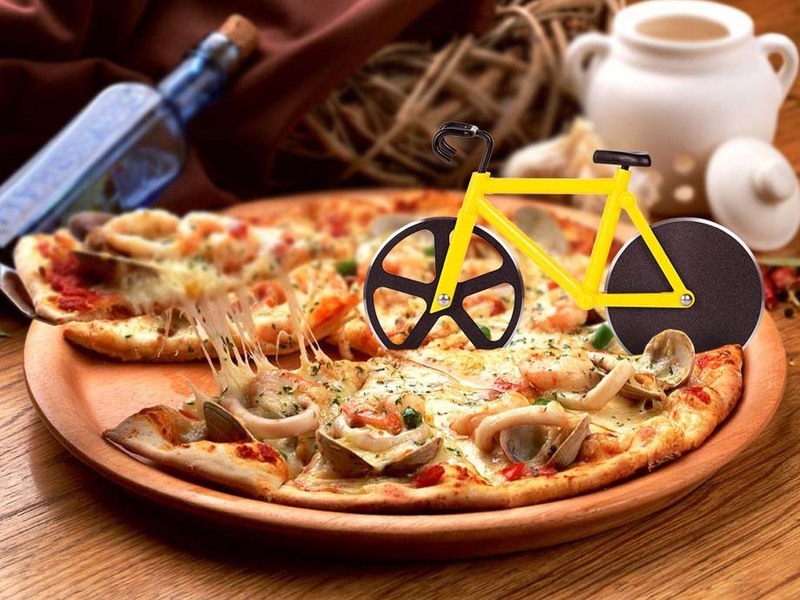 You better take a seat first, because this cycling race is just too delicious! Outrace the competition with a legendary escape along the mozzarella hills, the salami flats, and the tomato sauce lakes. With a crusty finish line in sight, victory will not elude you! 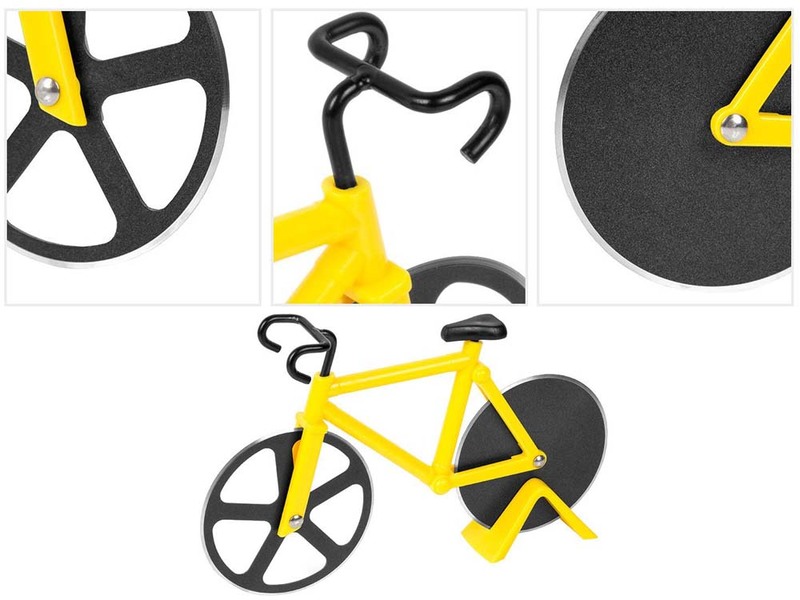 This racing bike was specifically designed for the challenges of the Tour de Pizza. 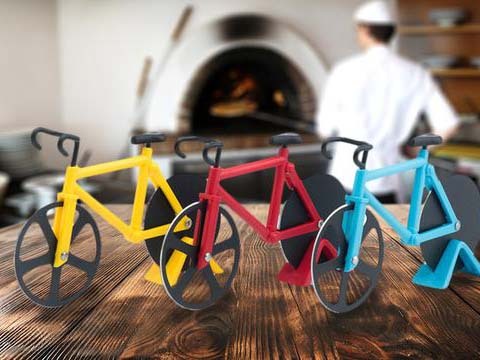 With its double, razor-sharp knives, no pizza topping will be able to resist you and no dining sprint will be too much. 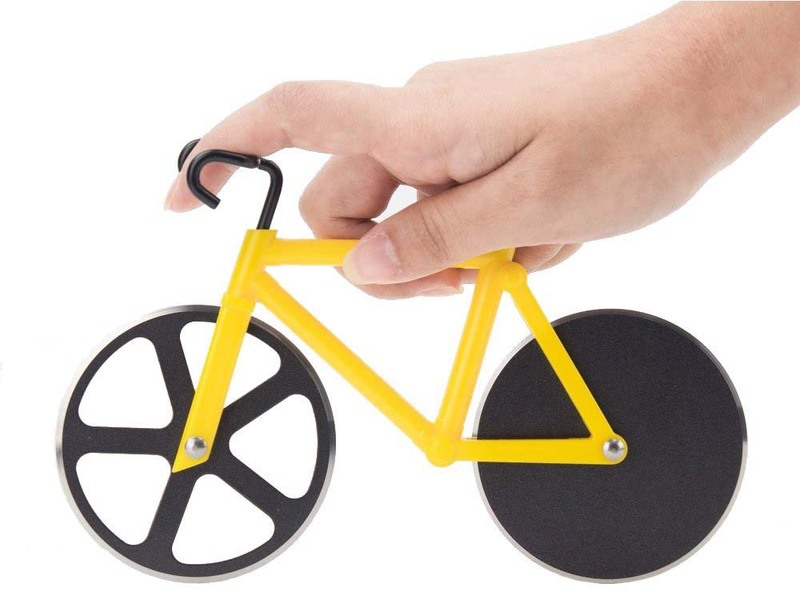 This gadget is the perfect gift for people who love Italian dishes just as much as they love cycling! Twice the cutting power of a normal pizza cutter!